Today, The LEGO Batman Movie came out on Blu-ray, DVD and Digital. We got a copy of the movie a couple weeks ago, and I am not lying when I tell you that my kids have watched it at least 10 times since then. It is so funny, packed with humor for all ages, and clean. To celebrate the movie coming out, we made Batman LEGO Masks and LEGO Bat Signals. Here is the awesome Batman LEGO Logo that we used for our craft. Print this out (we made ours about 6″x 2″ each). You will also need 8.5″ x 11″ pieces of black cardstock, yellow craft foam, scissors, glue and yarn to tie the masks on. You could also use a white piece of paper to put behind it if you want to make it into a decoration for their wall instead. Both examples are pictured below. This was pretty fun to do and the kids were able to do most of it on their own. I had to help a little with the eyes and mouth when they were cutting out. We printed out the bat logo and then cut an oval out of the yellow foam to go behind it for the bat signal. 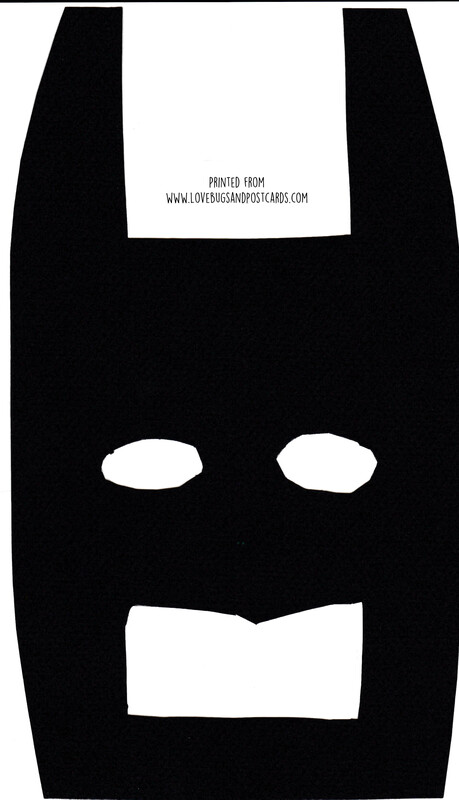 Here is our version of the mask you can print out and copy, or you can draw your own. I would love to see your photos of your LEGO Batman Mask and LEGO Batgirl Mask. Be sure to tag us if you make this and post! Own The LEGO Batman Movie on Ultra HD Blu-ray, 3D Blu-ray, Blu-ray and DVD and Digital NOW! Filed Under: Crafts for Kids, Crafts/DIY, Entertainment, Movie Reviews, Warner Bros.
not too hard to do!!! That’s a fun craft and not too hard to do. Thanks. Thank you for sharing. Next time the grandkids come over we will try and make these masks.